A delicate but perfect everyday piece! A chain of wire links is accented with a golden dangle and one off center twinkling diamond pod. 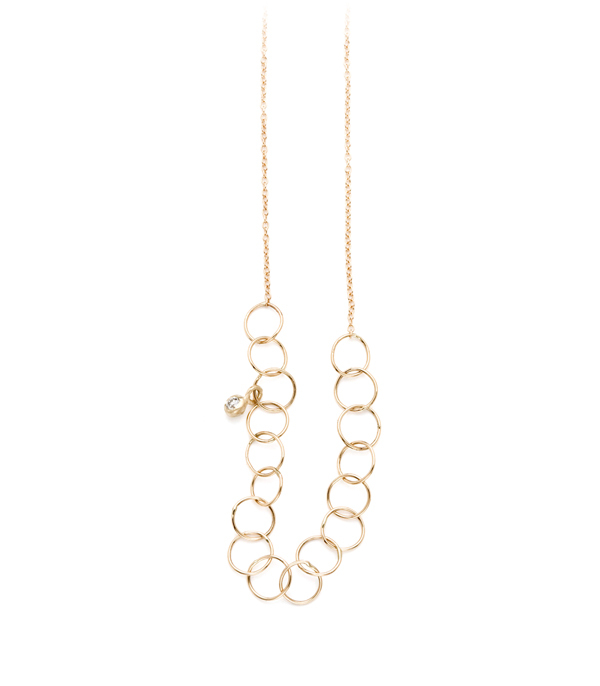 Dainty cable chain necklace is finished with lobster clasp. Categories: For the Bridesmaids, Necklaces, Tresor.